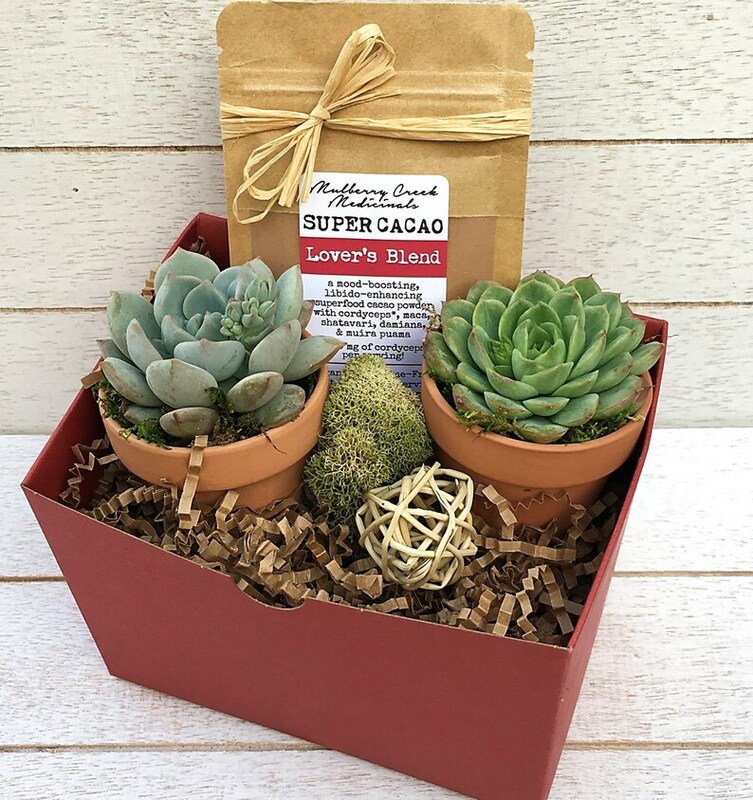 Arrives ready to gift and can be shipped with a personal note from you included. 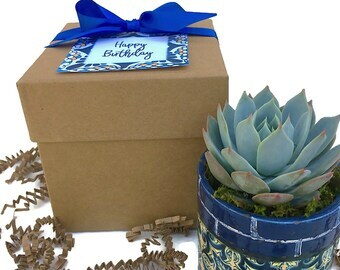 ♥ 2 small terracotta pot with a variety of 2-2.5" succulents. Succulent may vary from the ones shown, but always beautiful. Preserved moss is tucked in around the succulents. Note: moss and wicker ball not included, for decorative purposes only.